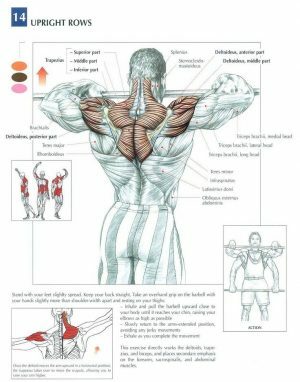 Tricep exercise can be worked through either isolation or compound elbow extension movements and can contract statically to keep the arm straightened against resistance. 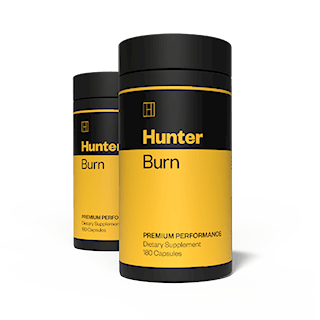 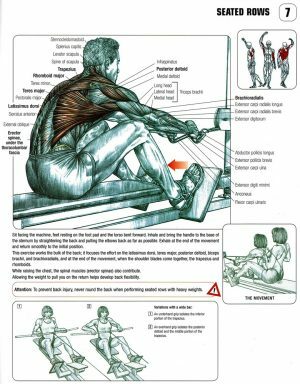 It’s useful to know the anatomy of each human muscles so that you can to target them efficiently and get the most out of your workout. 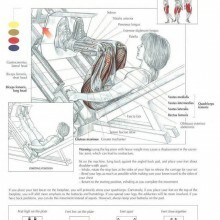 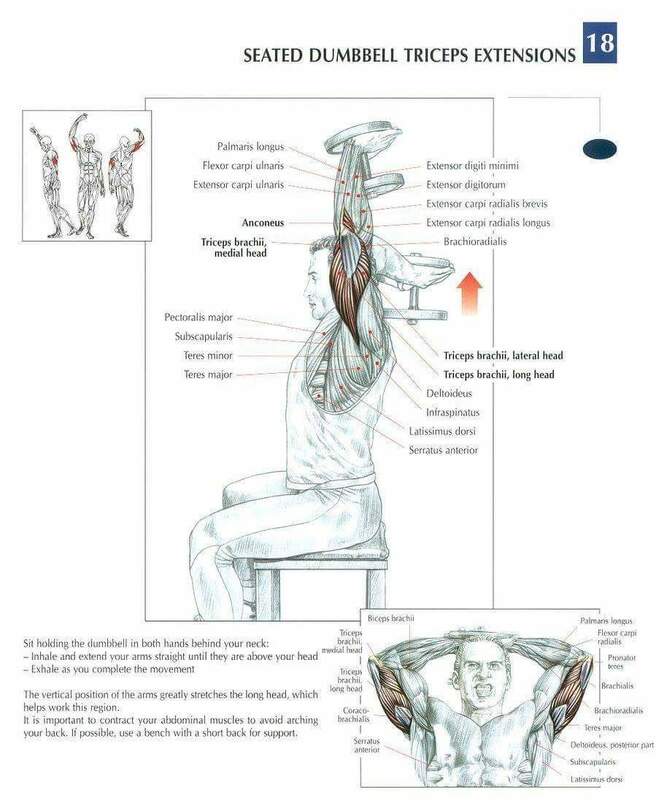 Isolation movements shown in the following muscle anatomy include seated EZ-bar tricep extension, seated dumbbell tricep extensions, and tricep kickbacks. 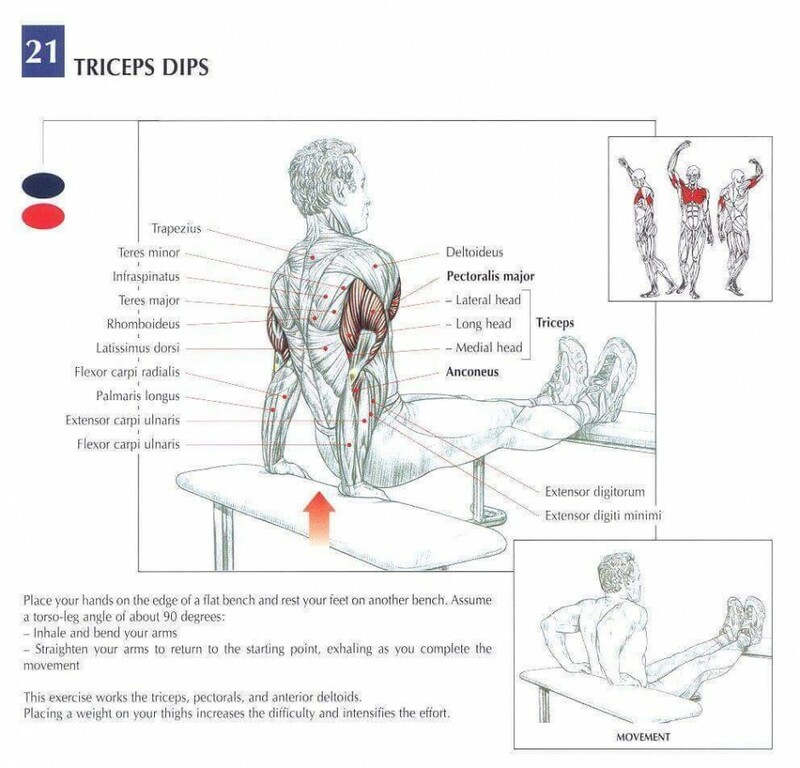 For tricep dips, a closer grip targets the triceps more than wider grip movements. 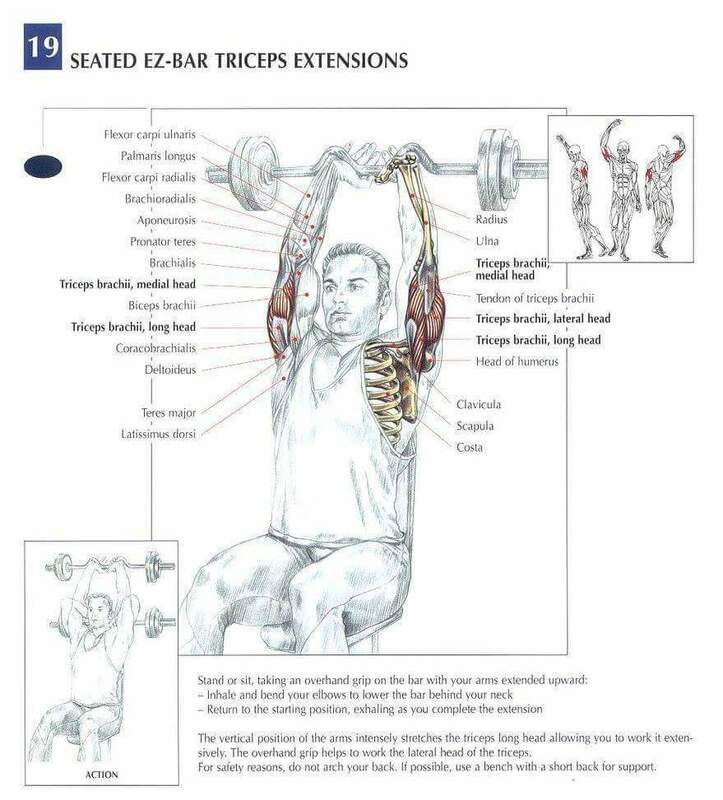 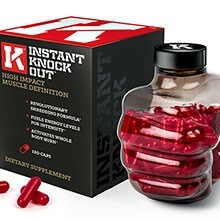 Examples of compound elbow extension include pressing movements like the push up, bench press, close grip bench press (flat, incline or decline), and military press.